The land of raging winds. Vast, open fields that go on for miles. Clear streams and lakes with colours unknown. Endless glaciers and peaks that suddenly appear out of nowhere as the clouds part. Where the weather always has a mind of its own and you may see four seasons in a day. Where the summer brings days that almost never end. A place that remains frozen for a good part of the year, where only a handful of hardy souls can thrive. And a cliche it may be, but I think I left a piece of me behind. 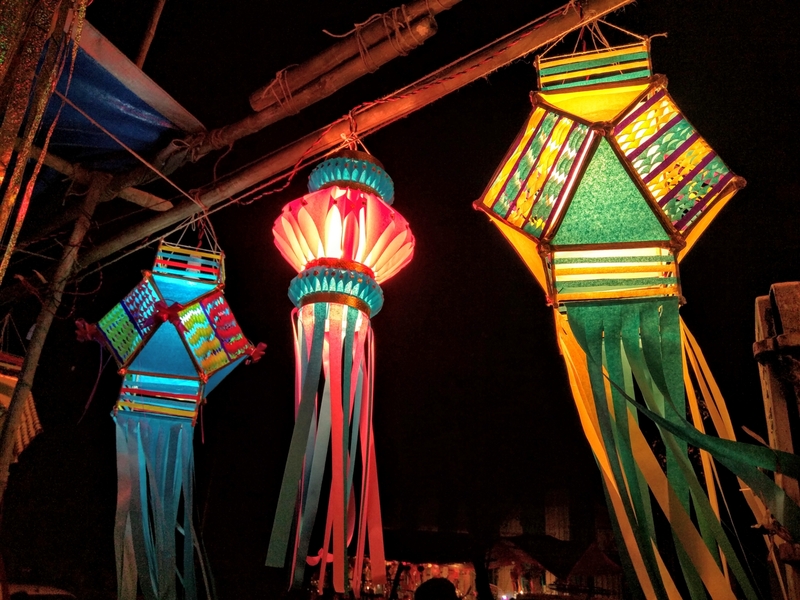 Lanterns line sidewalks in Mumbai in the lead-up to Diwali, diffusing the dreariness of everyday. ‘Why am I doing this to myself’, I almost muttered out loud as I pulled myself up another steep section on my creaking knees. It was 3.30 AM and pitch dark with an unwanted drizzle as we continued on our mission to scale Mount Merapi, the most active volcano in Indonesia (literally, ‘Fire Mountain’ in Bahasa Indonesia). Eight trekkers from different parts of the world, with our three guides – all so diverse, we’d look like a Benetton ad in daylight. We had landed in Yogyakarta that afternoon and decided to trek up Mount Merapi in the night to catch the sunrise at the top. So, after a short(ish) snooze of a a couple of hours in the evening, we were picked up by our travel agent at 9.30 pm to ferry us to the starting point of the trek (about two hours away, including a a bone-jarring last 20 minutes off road). The first half an hour of the trek was actually a pre-trek, steep walk up to New Selo, the launching point of the trudge up the mountain. The trek itself is an even steeper climb in the dark, with 4 sections of 0.6 km to 1 km, each of which take about 45 to 60 minutes – the killer stretches being the 700 m ones that take 45 minutes to an hour to traverse. Coming from flat and sea-level Singapore that very morning presented an additional challenge – we weren’t used to altitude and found ourselves panting much sooner than warranted; but things got better as the night progressed and we adapted. The trail soon gave way to loose gravel and rocks and every few minutes we would hear a ‘whooosh’ as someone lost their footing for a bit and slid a few steps down. ‘Are you okay?’, one of the guides would call out and once established that everyone was still in one piece, we would continue our slow ascent; ‘small steps, small steps’, I’d tell myself. A total of 4 hours later, we found ourselves on the ‘Plateau’ – a stretch of almost-level ground where hikers pitch up their tents to spend the night. The real summit is another 200 to 300 metres above this – an almost vertical climb with no safety ropes or supervision. Most hikers go up to the plateau and are highly discouraged by the guides from going further. Deciding that the final ascent was much too adventurous for my wobbly knees, we called our climb successful at the plateau as we braced for the strong and chilly gusts of wind that crossed it non-stop. After what felt like an hour of shivering in the mist, the sky began to be painted with hues of pink, orange, red and the sun finally muscled through the dense clouds to the horizon. Coming down was a lot more painful than going up, of course – especially on our already-weary legs – there were more than a handful of times that each one of us landed on our bottoms and slid down; but it was a lot quicker too. We were back at New Selo, with its ‘HOLLYWOOD’ like sign, in just 1.5 hours. Was it worth it? There isn’t another answer to that but a ‘Yes’. Were there times that I felt like giving up – Yes; but I’m glad I made it through – anything else would’ve been a heartbreak. It’s easy to book your tour through your hotel or the multiple agencies in Yogyakarta – rates are pretty standard at about 400 – 450k IDR (~ 35 USD) for the whole deal. You leave Yogya at 9.30 – 10 PM for the sunrise trek. Takes about 4 hours to climb up, 1.5-2 hours to come down. The trek is harder than your average walk-in-the woods. No technical skills needed but you need to use your hands to pull yourself up or lower yourself down in quite a few stretches, closer to the peak. Shoes with a good grip make life easier – running shoes are okay, as long as they have some kind of grip. A jacket / fleece is essential – waterproof is better. A warm cap and gloves can be precious at the top as well. The volcano is very active, so check activity levels online before you book your tour. Carry your water and snacks along with you – it’s a long night and you will feel thirsty and hungry. Been to Central Java or Mount Merapi yet? Planning to go? Let me know! More connections to nature here. and a layer of fresh whipped cream sandwiched in between. 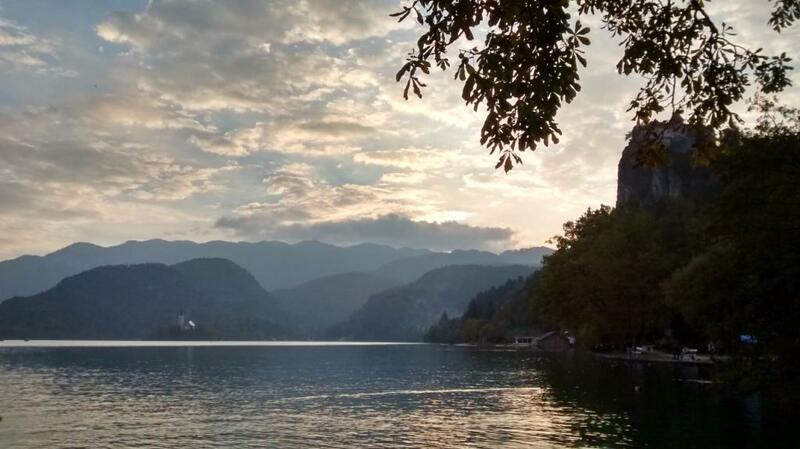 Almost as famous as the Lake and Castle in Bled, Slovenia, is the Bled Cream Cake, or the Cremna Rezina. A chocolate fan to the core, I was skeptical about this local specialty being too heavy or too creamy or too sugary for my taste. But wrong I was – the cake was baked to perfection – sweet, but not too sweet (how often is a fantastic dessert ruined by too much sugar? ); creamy, but light; with a crispy puff pastry at the ends. All that I ordered was a slice but dusting off 4 or 5 of these wouldn’t be a task at all. 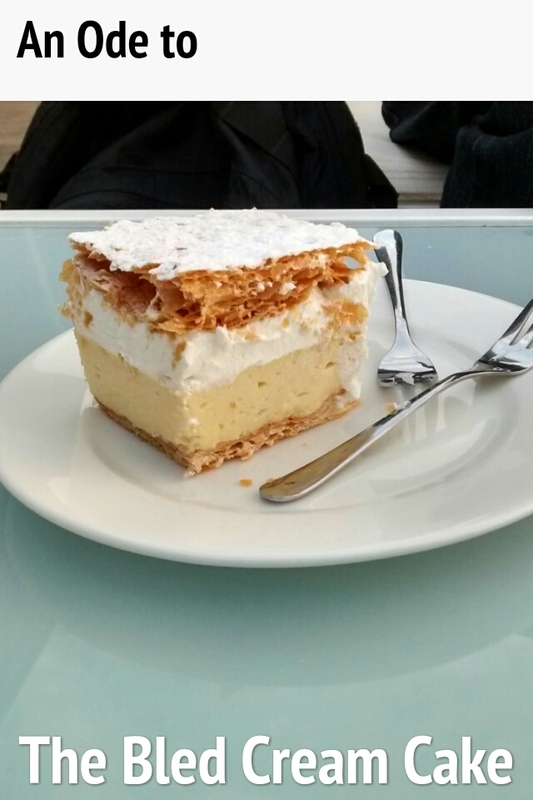 If you find yourself in Bled and looking to satisfy your sweet tooth, make sure you try this patented local specialty – and only at the place where it all started – the Park Restaurant & Cafe. Almost everyone who visits the restaurant orders one, so they have pre-cut slices that’ll make it to your table soon and disappear even sooner. And for once, the hype was justified. Perfection on a plate with a view to match it! Anyone else feeling like this today? 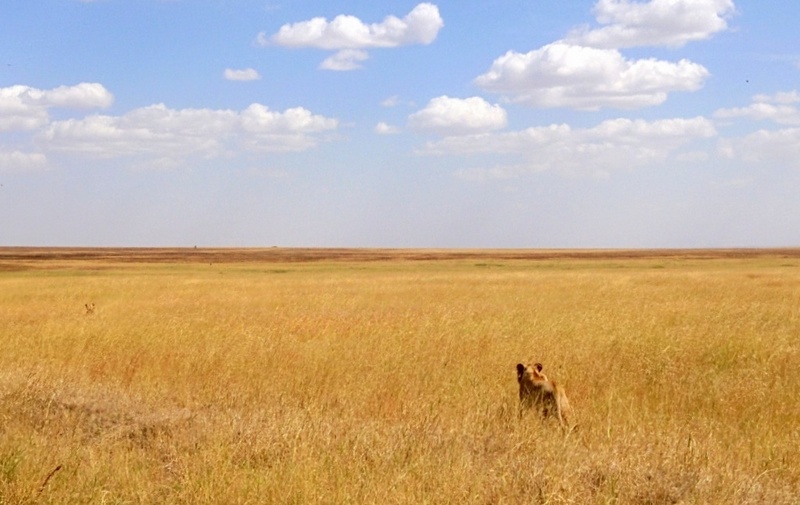 Pictures from the Seronara area of Central Serengeti (that totally capture my frame of mind today). 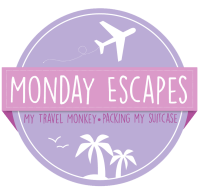 Linking this post up to Monday Escapes with Packing My Suitcase and My Travel Monkey. Have a good week everyone – and remember, Friday will be here soon! 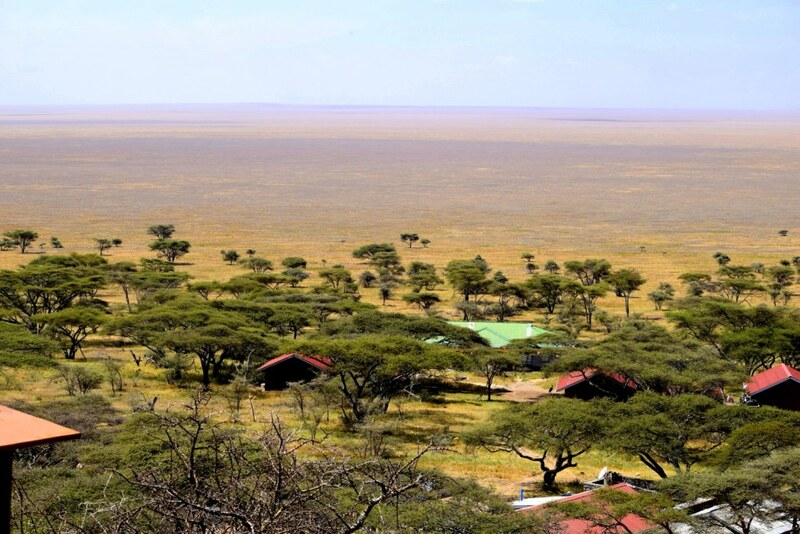 In parts of East Africa, the savanna extends as far as the eye can see. Boundaries seem to have no meaning as the Serengeti plains of Tanzania cross the border and become the Masai Mara in Kenya. Little surprise then, that ‘Serengeti’ literally means ‘the endless plains’ in Swahili. It wouldn’t be hard to get lost here, with no markers and the uniform landscape extending in all directions. 6 AM or 11 PM – Bangkok’s always bustling. Fresh off the keyboard, Delivered right to your inbox! Yes, I need an occasional dose of travel distraction. You've heard it before - young dreamy-eyed person goes abroad and falls in love with travelling. Fast forward to the present and a not-so-young me still spends all of her office leave and a disproportionate share of her money on trying to see the world.